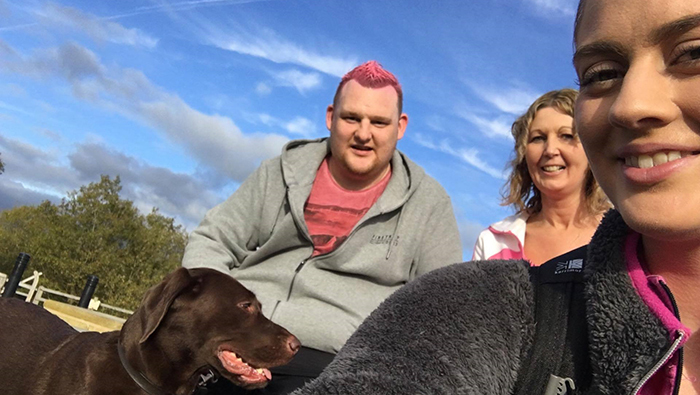 Dan and his colleagues at his local pub take part in wear it pink each year, coming up with brilliant and unique fundraising ideas! For 2017 he thought up a new challenge – a 120 mile walk for him and his friends to take on throughout October. I have been a proud regular fundraiser for wear it pink for many years. I choose to support Breast Cancer Now as it’s the UK’s largest breast cancer charity and they are dedicated to funding research into this devastating disease. Wear it pink gives us the chance to do something fun at work and raise money doing so. I always take part in my work place and local pub where I have held many events and done many crazy things to raise as much money as possible over the years. I have shaved my hair off, wore nail varnish (on both my hands and toes!) and my favourite – worked as the pink panther wearing a tutu for 12 hour shift! I’ve had many crazy and bright pink hair styles, I’ve worked the bar dressed in drag twice with full make up and nail extensions, wig dress and tights, I’ve had the locals set me challenges which varied from me not being able to talk for a whole shift, worked handcuffed to another member of staff, worn matching underwear (which were very uncomfortable), had my legs waxed, gone sober for the whole month of October twice and many, many more fun and silly tasks. 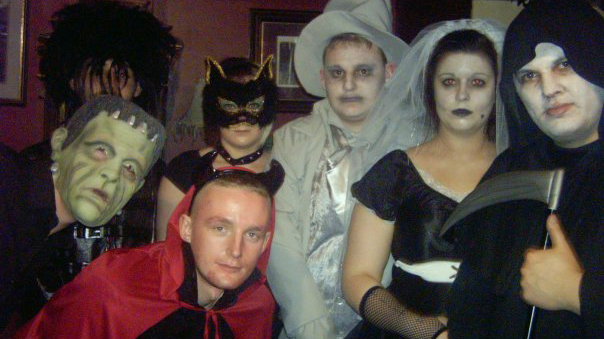 My staff always gets involved and we always have a fancy dress theme, we’ve been everything from cowboys and pink ladies to pink devils and fairies. We always try to match to the theme of the campaign, and we usually work the Saturday nights dressed in Halloween costumes to give it that extra push. I have raised a total of £3,793.48 over the years. The biggest wear it pink yet! 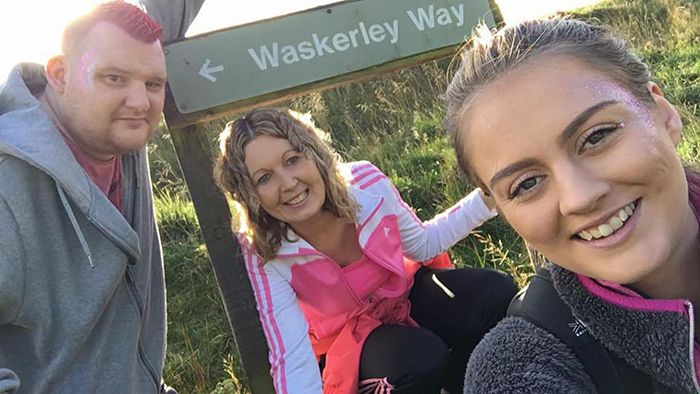 In 2017 I wanted to do something bigger so I organised what was meant to be a 10 mile sponsored walk, but became so popular with the locals and some of my staff that we decided to increase it to 120 miles! Our journey would begin at Stanhope and we’d all take part in different treks to end up at Holy Island. So throughout October we walked and walked! A total 13 people and 3 dogs walked different routes over the course of 3 weeks piecing it together bit by bit. We added up our individual miles and it came to a collective total of 626.64 miles, and raised £2,101.20 in doing so. I did the first 3 pieces of the walk over 3 days starting at Waskerley way and walking to Tynemouth (55miles in total) in a total of 10 hours 17 minutes. It was exhausting but so worthwhile! I have supported the breast cancer campaign for several years, without any personal connection to breast cancer (up until now) purely because it is such a great charity to support. It started as a bit of fun at work but has progressed into something more, something bigger. Recently a few close friends of mine and some very loyal customers at work have been diagnosed with breast cancer or other forms of cancer which has given me a greater incentive to help and fundraise more, to do all that I can to help fight that awful disease. I am now a proud local representative of Breast Cancer Now which gives me more options and a wider understanding of the disease, helping me fundraise more and raise more awareness! This year we are planning to do another walk and make it bigger, better, longer and get more people involved and raise more money than ever before. We will be hosting an event on the night of wear it pink day too with raffles and a quiz and, of course, another Halloween disco. It’s been so much fun supporting Breast Cancer Now, and I would really recommend getting your friends and family involved. Not only are we all supporting an amazing cause, but it gives you a chance to do some really crazy things in the name of sponsorship! Inspired? If you’d like to join Dan for wear it pink 2018 just sign up or call us on 0333 20 70 300 for your free fundraising pack.